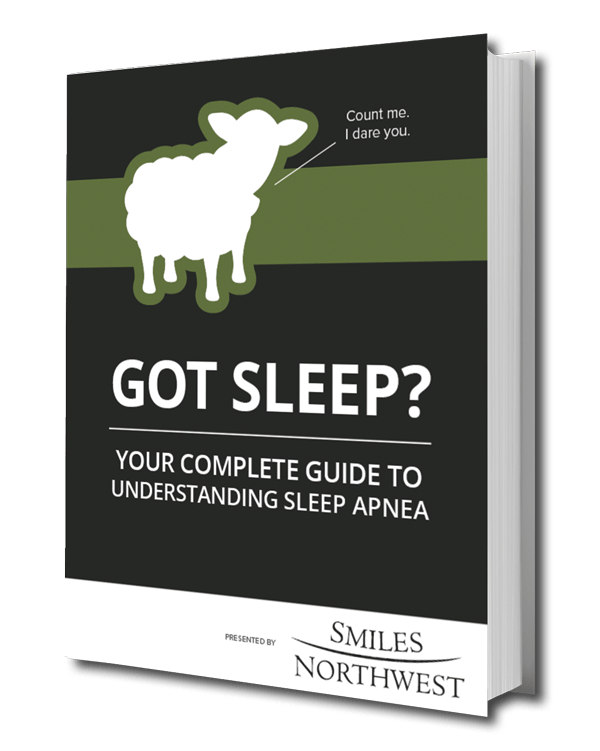 The importance of getting checked for sleep apnea cannot be exaggerated – it could save your life! The symptoms – get diagnosed! Our sleep apnea dentists are ready and waiting to help you beat this life numbing disorder. Download your copy of this eBook and call us today to find out how we can help. Without a doubt there are so many reasons to start getting a good night’s sleep. A major symptom of sleep apnea is snoring. Although some view snoring as humorous, it is the result of partially blocking your airway. Our sleep apnea care prevents this, meaning you and your loved ones can finally sleep soundly. Sleep apnea may cause you to wake up in the morning with a headache and feel weak throughout the day, which affects your concentration and productivity. Removing sleep apnea from your life results in a renewed lease of life and energy. If sleep apnea is left untreated, it can lead to serious health risks, such as heart conditions and diabetes. Our neuromuscular dentists can remove these risks by properly treating sleep apnea and assessing your overall health. Enjoy the Lasting Benefits of Sleep Apnea Treatment Today! Download our FREE eBook to discover what other prospects await you. ‘‘A wonderful experience with a comfortable, welcoming office, and a professional, caring staff. I had the impression everyone enjoyed what they were doing and were genuine in their desire to provide the best patient care possible. Your whole-health dentists in Portland combine their exceptional knowledge and skills with the best sleep technology to hand your life back. Contact us and sleep soundly instead!